The purpose of Yamanaka Chalet, operated by SEND International (a Christian missionary agency), is for the spiritual refreshment of its guests. The facility is operated as a Christian retreat center where people come to meet God and be spiritually recharged. Yamanaka Chalet is first and foremost available to missionaries and pastors who need a place for personal retreat and vacation and to churches who wish to hold retreats related to their ministry. Secondly, when there is someone available to host them, it is open to other individuals and families. The hosts at Yamanaka Chalet are missionaries involved with other ministries who volunteer their time to host at Yamanaka Chalet. For that reason, Yamanaka Chalet is not available all the time because a host may not be available or it may not be cost-effective for a host to drive out from Tokyo for a small group. Please contact us if you have any questions. 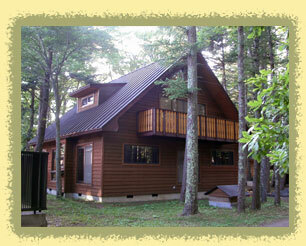 Yamanaka Chalet has accommodation for up to 50 people. Located on Lake Yamanaka at the foot of Mt. Fuji, Yamanaka Chalet has easy 90-minute access from Tokyo and Yokohama. Discover Yamankaka Chalet. Start by clicking the links above and to the left.